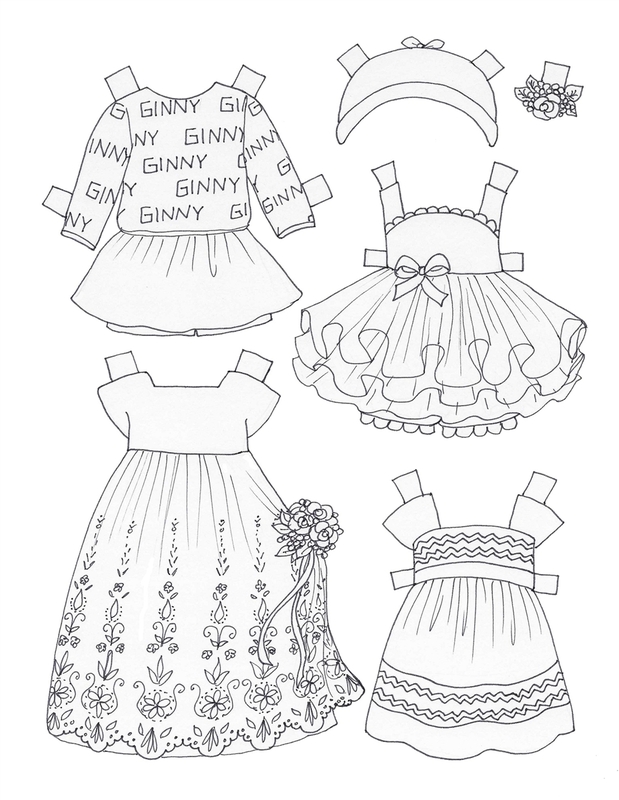 For the first time ever, here is your chance to customize your very own Ginny paper doll set! This 8.5 x 11 paper doll coloring book was authorized by Vogue Doll Company, and features 4 paper dolls, 31 outfits, and many accessories for you to color, cut out, and enjoy! This color, cut, and play activity is fun and relaxing for girls of ALL ages! 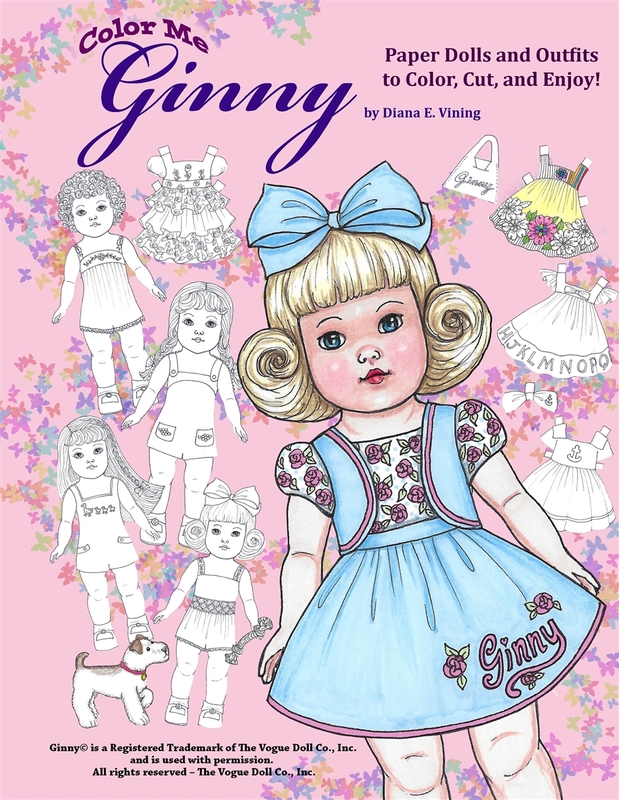 The Ginny dolls' clothing, hair, eye, and skin tones are entirely up to you... so the possibilities are as endless as your imagination! There's even a page featuring her puppy and his own accessories! Designed by the paper doll artist who developed the "Ginny Greetings" series for Vogue Dolls, this coloring book is perfect for all levels of artists. Plus, it's in spiral bound notebook format, so that you can fold the pages back to concentrate on the page you're working on. The pages are thick, perfect for sturdy stand-up paper dolls and outfits. Just grab your favorite coloring tools and scissors and get ready for some paper doll fun!